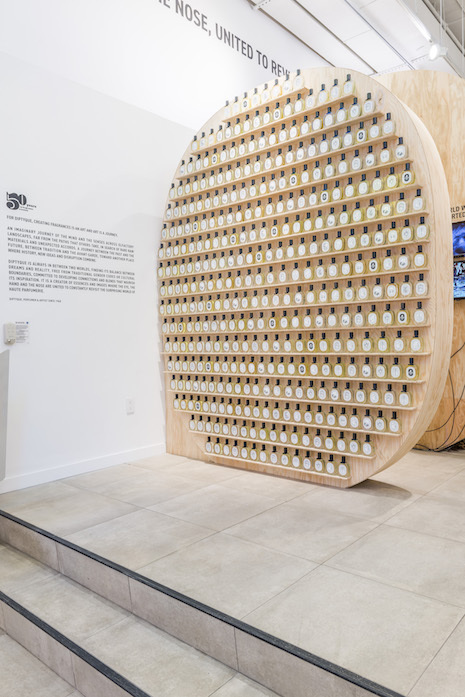 Fragrance and skincare brand diptyque is marking the 50th anniversary of its first genderless perfume with the rollout of two new scents, Fleur de Peau and Tempo, as well as a pop-up store in New York’s trendy SoHo shopping district. 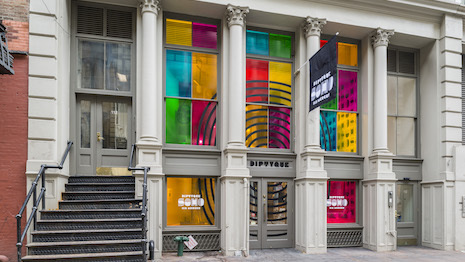 In this Q&A with Fabienne Mauny, the CEO of diptyque discusses the reason for the SoHo pop-up, how the business has evolved since the launch of the L’Eau eau de toilette in 1968, the market for genderless perfumes, state of the fragrance market and the push to open more retail stores worldwide. “We are developing a strong digital platform and new formats on social media, along with continued rollout of pop-ups in trendy and unusual places, which speak to a younger audience,” Ms. Mauny said. Diptyque has crossed 50 years. Why celebrate with a pop-up in New York's SoHo? The SoHo area of New York was the perfect location to allow a wide audience the opportunity to discovery our rich fragrance portfolio. The pop-up was designed to offer a new discovery from what we usually do creatively and provides visitors a true diptyque experience. In its five decades, Diptyque has witnessed several shifts in consumer behavior. What's the biggest shift in this decade? The consumer’s curiosity for niche/indie brand has grown. Consumers are looking for brands that have a strong authentic identity. Because of this, the niche segment is booming globally. One other important shift has been the digital revolution, and its impact on brand communications and discovery. What is the current state of the fragrance market? Overall, fragrance is not a growing market, and trending flat globally. Niche brands are no longer independent, as many key players have been acquired by large conglomerates in recent years. The market is also seeing prestige brands developing private collections, using the niche model to ride this wave and take advantage of this growing segment. We have also seen the development of direct-to-consumer business models looking to expand and open their first bricks-and-mortar stores. Diptyque is sold worldwide. How does the United States market differ from Europe, Asia Pacific and the Middle East? How are consumers in each of these regions responding differently to your products? There is a different response from consumers in each of these regions. In the U.S., we are best known for our home products and there is less fragrance awareness. In Europe, our mix of business is more balanced in the home and fragrance categories. In Asia, the consumer is eager to discover our fragrance and body products. The Middle East is a strong fragrance market. Who is the typical Diptyque customer? Diptyque does not target a specific demographic. As we are a lifestyle brand, we appeal to a wide audience. What is Diptyque's top-selling fragrance? Do Son is the top-selling fragrance. This eau de toilette is inspired by one of diptyque’s founders, Yves Couselant’s childhood memories of growing up in French Indochine, of walking through the flower market with his mother in the port city of Do Son with the sea breeze lingering in the background. This olfactory landscape captures tuberose, orange blossom and jasmine with a marine accord. The aquatic marine accord is the olfactory accident here, the diptyque signature which adds an unexpected and addictive quality to our fragrances. While Diptyque's products are touted as unisex, obviously men have different tastes from women in terms of their fragrance choices. How do you handle that scenario? All of diptyque’s creations are truly gender-free, and have been since the first eau de toilette launched in 1968. In fact, diptyque was the first fragrance house offering a gender-free eau de toilette – and gender-free is, in fact, different than unisex. Unisex implies that a fragrance is created with men and women in mind equally, while gender-free describes a scent that is created with neither men nor women in mind. The scent is the expression of an olfactory landscape, real or imaginary, inspired by the memories of diptyque’s founders, travel and nature. Globally, we have both men and women buying each and every fragrance that is offered in the collection. 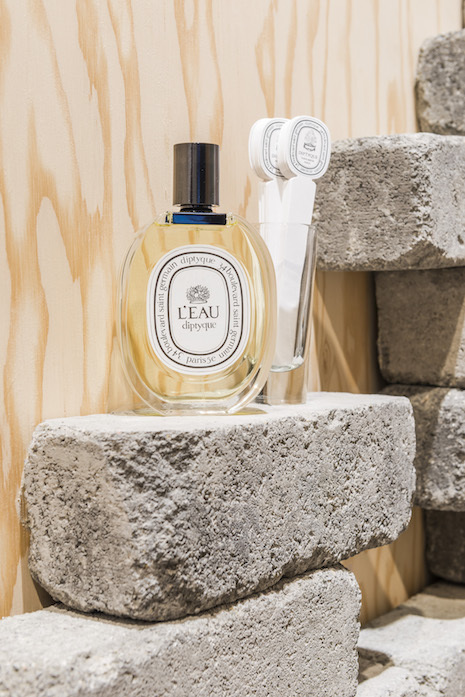 The unexpected accords emblematic of diptyque fragrances capture the imagination of all. What kind of marketing are you planning to roll out this year to attract younger customers? We are developing a strong digital platform and new formats on social media, along with continued rollout of pop-ups in trendy and unusual places, which speak to a younger audience. Are you going to open more bricks-and-mortar stores this year? Obviously, pop-ups give you an idea of the potential of a neighborhood and fragrance is also highly experiential. Yes, we will be opening approximately 10 new stores globally in Russia, Rome, China, Japan and in the U.S. before the end of the year. What role does ecommerce, mobile and social play in branding and retail sales? Today, it is necessary for brands to have a strong digital platform that perfectly reflects the brand universes and new platforms with brand content and social communication. We know that 60-70 percent of all consumers do research online before visiting our boutiques. What is your goal for diptyque this year? As 2018 celebrates the 50th anniversary of launching our first fragrance in 1968, the goal is to speak loudly and proudly that diptyque is a house of fragrance, with an amazing fragrance portfolio.